In response to a number of comments, mostly about whether John Paul will be declared as saint. I would suggest that not a few have not read a lot of church history or even understand the modern way saints are made...when it comes to holiness--what the mass of people think about the person has a lot to do (it is even the first indication) with whether God is manifesting his will that the person was a saint. Most saints in the Roman Calendar were made by popular acclamation. Whereas in life a person may enjoy great popularity and even death some's passing may be mourned for decades...when a saint dies it seems that their popularity increases, people begin instinctively asking their intercession, some who didn't even like the person in their lifetime are converted by them in saint's new life. Saints like St. Therese weren't even known in their lifetime but became so popular shortly after their death that they were canonized quickly by the Church. People of the Book by Jim Manney at Loyola Press. Had just left a Catholic Church where he'd become unruly after the reading of the Gospel. There is a lot that I do not agree with on this even though I do understand the motivation behind it. The Rev. Michael Cichon, pastor of St. Joseph/St. Thomas in Pleasant Plains, used each family's bar-coded donation envelope to track attendance. He's tossed about 300 kids from classes and told them not to reapply until next April. In Indiana...St. Mary-of-the-Woods College they can't live on campus though...discrimination? I am always amazed at this list and what it tells me about Catholics at any given moment. Right now: Knowing who Benedict XVI is a priority. Learning more about the Mass continues to be an issue. Reclaiming pride in our Catholic heritage is welcomed and defending our faith against the attacks of other Christians is an issue. And Nouwen is still a perenial favorite! The List... and my comments on each in italics. Good book, gives you all the Catholic origins of science, universities and other things that you would think in modern times have nothing to do with being Catholic. If you enjoy Allen's Word From Rome column as I do, you'll love this book, same conversational, almost gosippy tone. Of the Pope Benedict liturgy titles I actually like this one the least in stark contrast to #5 which I think is one of the best books that I have ever read on the Eucharist. Jesus revealed God as the one who is always awaiting us,loves us more than we can ever know. I believe this book is the oldest on the list. 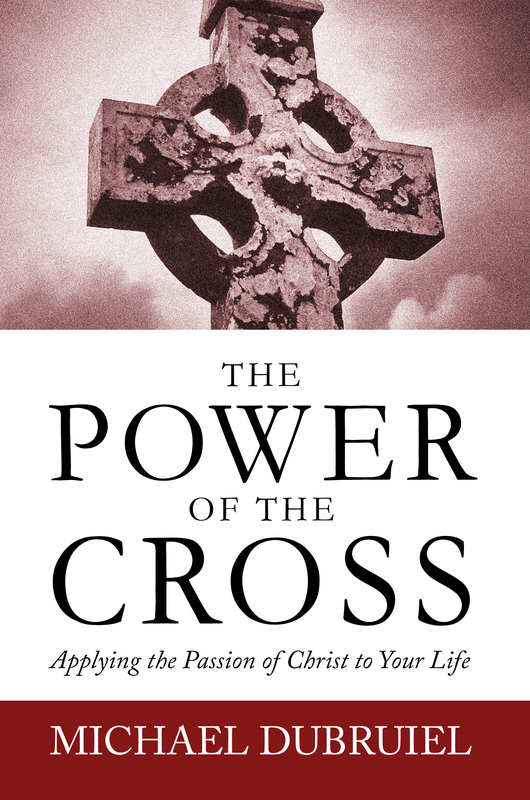 The title comes from a Guardini classic that the Pope enjoyed as a young man. This is absolutely the vade mecum that any liturgist out there should read and take to heart. Should be required reading for all priests. Knowing that the author is now the pope gives us great hope for the future! Dave Armstrong is a great apologist for Catholics. He has a web site if you'd like to check him out first. Several of Dave's books are in the Catholic top 100. I have worked with him on The New Catholic Answer Bible and a pamphlet Top Ten Questions Catholics Are Asked . Scott shows how the Book of Revelation is really all about the Mass! An interview with Cardinal Ratizinger that led the interviewee(then an aetheist)to convert--chances are it'll have the same effect on you even if you think you already are a believer! Obviously this is the oldest book on the list and somewhat of a surprise I might add. Might this be indicative that a lot of people are going through a "dark night" right now? "Perhaps we have had an incorrect picture of Cardinal Ratzinger in Germany"
There has been speculation about how this pope may fulfill his Malachy related prophecy and there is some speculation that he will lay his life down for the church in some way. Of all the various speculations, this one is likely correct as this is what Jesus eventually did as well. If it happens at a time known to the day-for-a-year charts, it will most likely happen within a week of June 24, 2005, a prophetic replay of Jesus' crucifixion. If not on this replay, but if still on a known replay of Jesus' crucifixion, it will happen in late December, 2009. This latter date would make Benedict the last pope. Time will tell if the speculation on Malachy's prophecy is correct." There is a brilliant section found in the "magisterial" book of Pope Benedict XVI's where he talks about Christmas and the Birth of John the Baptist. His remarks cover how the cosmos are involved in the sanctoral cycle and how from the Birth of the Baptist the days grow shorter mimicing "I must decrease..." and after Christmas the days grow longer..."he must increase." All of life witnesses to our spiritual call to die to self and to live for Christ! I missed this in the other story I posted, they just said in an "ancient ceremony", I had no idea they were referring to an ancient "tribal" ceremony. I've witnessed Caribean versions of this and it can actually be very beautiful...sounds like this was as well. Always interesting to hear numbers of copies sold...interestingly the Ratzinger Report only sold around 50,000 copies...it seemed to be everywhere when it came out back in the 80's. This hardly works on a number of levels...one has only to think of how a bishop is able to close a parish to begin to see how this isn't true. and the splendor of the Holy Spirit, to shine through him. the way of achieving eternal communion with you. hoping that he will soon be numbered among your saints. Amen. Closing Churches in Steubenville--Including the Cathedral!!! I've actually been to mass there, not sure why they are closing it. Even if they want to build a new one it seems that the present one could continue to function. Was too ill to participate in the last conclave. List 1990 as the date she departed "this earth." I know the Miami priest/bishop, interesting choice. - Accepted the resignation from the pastoral care of the diocese of Reno, U.S.A., presented by Bishop Phillip Francis Straling, in accordance with Canon 401, para. 2 of the Code of Canon Law. - Appointed Bishop Walter Allison Hurley, auxiliary of the archdiocese of Detroit, U.S.A., as bishop of Grand Rapids (area 17,592, population 1,283,717, Catholics 162,670, priests 136, permanent deacons 29, religious 289), U.S.A.
- Appointed Msgr. John Gerard Noonan, president-rector of the Saint John Vianney College Seminary, as auxiliary of the archdiocese of Miami (area 12,836, population 4,036,799, Catholics 856,783, priests 361, permanent deacons 142, religious 509), U.S.A. The bishop-elect was born in Limerick, Ireland, in 1951 and ordained a priest in 1983. Last Thursday, the Catholic Bishops, who are the trustees of the college, finally published the long-awaited McCullough report into the handling of allegations that Ledwith sexually harassed seminarians. Stem Cells Potentially Developed into Sperm and Eggs? I predict that in the near future that similar events will take place in this country with people who normally sit on the sidelines taking the field. 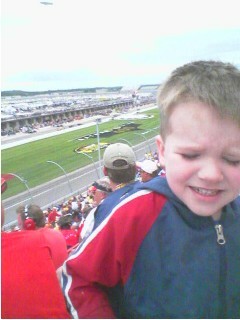 Joseph at the Michigan International Speedway. Note to most of you out there, he has a jacket on, as the other people in the stands do. He wasn't unhappy, even though he appears to be in the photo. One of the seminarians featured in this story is from nearby Defiance, OH...probably the name of this hometown served as a literary device for the story writer? Cardinal Jozef Glemp of Warsaw will preside here over the closing Mass of a National Eucharistic Congress and the beatification of three Polish priests. "Don't worry I'm going to take care of that...and soon>"
"How To Get The Most Out Of The Eucharist ." "Because Dubruiel is reading all of my books. He told me that so far he likes The Spirit of the Liturgy best." The Compendium of the Catechism of the Catholic Church will be presented on June 28, in the course of a solemn liturgical celebration in the presence of Pope Benedict XVI. The Compendium was prepared by a commission presided by the then Cardinal Joseph Ratzinger. Vatican Anxious to Esatablish Ties with Hong Kong? Raven's Bread Next week's Newsweek features a story on Catholic hermits living in the United States. Who had John Paul lived would have been beatified on April 24th. In this month's New Oxford Review Online. I've written about this in How To Get the Most Out of the Eucharist even giving the example of how a three year old can aid us into dying to ourselves and accepting Christ in contrast to a modern innovation that seeks to rid itself of "distraction"...the Lazarus' at the gate as it were...in order to be "spiritual." In this unique Eucharistic period, one recurrent theme is that of Sunday, the Day of the Lord, a theme which was also at the heart of the recent Italian Eucharistic Congress held in Bari. During the final Celebration, I highlighted how Christians should consider attending Sunday Mass not as an imposition or a burden, but as a need and a joy. Coming together with our brethren, listening to the Word of God and being nourished by Christ – crucified for us – is a beautiful experience which gives meaning to life and brings peace to our heart. We Christians cannot live without Sunday. This is why parents are called to enable their children to discover the value and significance of responding to Christ’s invitation to bring the entire Christian family together for Sunday Mass. A crucial leg in this educational journey is first Holy Communion, a real celebration for the parish community as it welcomes its youngest children to the Lord’s Table for the first time. God willing, to highlight the importance of this event for the family and parish, I will hold a special catechetical encounter on 15 October here in the Vatican for children who received their first Communion this year, especially those from Rome and Lazio. This joyous meeting will take place nearly at the end of the Eucharistic Year, when the Ordinary Assembly of the Bishops’ Synod focused on the Eucharistic mystery will be under way. As someone pointed out, I forgot to link when I posted this a few days ago. Sacred Miscellany: Back from the Coast and Tagged? Joseph standing in front (about two feet) of his first catch--a fairly large catfish. It was an hour of lessons learned. I kept telling Joseph, "You've got to watch your fishing pole or a big fish will come and pull it into the water right down the river." Which is exactly what happpened about ten minutes after this fish was back in the river swimming away. He wasn't watching it and I wasn't either. The pole was resting on a large rock and started making noise as it made the long trip over the rock, at which time Joseph began to cry. I was trying to calm him down and running after the pole at the same time, almost joining the pole as it submerged out into the river. So we left without a fishing pole, with a container of worms. It was the third pole I've lost in my life to a fish. I remember my grandfather losing his pole once as he was tending to my pole (I was probably a few years older than Joseph at the time). I can only imagine the "shark" that Joseph dreamt about last night as he replayed the fish that pulled his fishing pole into the water. I've met Father Pennington several times and enjoyed his writing. I first met him when I was a student at Creighton University some years ago. Most recently spent a day with him at Conyers where he was abbot at the time. He died on June 3 (Feast of the Sacred Heart), I'm surprised this didn't make more of a splash--he along with others mentioned by Amy et al was one of the "hit" Catholic authors of the modern age. Father M. Basil Pennington R.I.P. "The traditional teaching of the Church has proven to be the only failsafe way to prevent the spread of HIV/AIDS. For this reason, the companionship, joy, happiness and peace which Christian marriage and fidelity provide, and the safeguard which chastity gives, must be continuously presented to the faithful, particularly the young." "Born April 10, 1918, into a devout Cincinnati family, Archbishop McCarthy studied at St. Gregory and Mount St. Mary seminaries in Norwood, Ohio, then at the Lateran and Angelicum universities in Rome. He spent almost all his adult life as a diocesan official: as auxiliary bishop in Cincinnati, then the first bishop of Phoenix in 1969. He came to Miami in 1976 to serve as a coadjutor archbishop, alongside the Most Rev. Coleman F. Carroll. He took over after Carroll died the following year." One of the more remarkable occurences since the death of John Paul and the election of the Benedict has been the change in stance of the Russian Orthodox Patriarch. Either he just didn't like John Paul or John Paul is interceding mightily from his new post. There are many ways one can look at this--one would be to question what exactly Catholic schools are teaching about the Catholic Church, the other might be why hasn't Bishop McCormack who has lost all ability to lead the flock resigned? Man With Stained Chain Saw Let in to U.S. Weapons taken away from him then he is let into the country--had just murdered a country musician and his common law wife. Sleep well tonight when you think about the border guards protecting you. USATODAY.com - We have a passel of pope books! "We Have a Pope! Benedict XVI " by Matthew E. Bunson (Our Sunday Visitor, $14.95). Bunson, author of more than 30 books and general editor for Our Sunday Visitor's Catholic Almanac, says he wanted to provide a 'gentle introduction' to the 78-year-old Benedict XVI. 'Even if he is pope for a short time, I think (his papacy) will be one of considerable surprises,' Bunson says. 'His outreach to the Orthodox churches has already started.'" Lastiri left St. Patrick's Parish in Merced in July 2004 after parishioners accused him of participating in sexual conversations on Internet chat sites and seeking gay lovers on the Web, the Merced Sun-Star reported in May. I reference this event in a section of How To Get The Most Out Of The Eucharist when I mention what Joseph calls the "donut church" where in fact they actually offer Brauts and smuggled German beer after Mass on this one Sunday every year. And on the Feast of Saint Boniface, the Apostle to Germany to boot! Should be interesting now that we have a German pope. "Without the Holy Spirit, the Church would be reduced to a merely human organisation, weighed down by its own structures. But, in his turn, in God’s plans, the Spirit regularly makes use of human mediations to work in history. It is because of this that Christ, who set up his Church on the foundation of the Apostles closely gathered around Peter, also enriched it with the gift of his Spirit, so that through the centuries, the Spirit may comfort the Church (cfr Jn 14,16) and guide it to the entire truth (cfr Jn 16,13). May the ecclesial Community remain always open and meek in the face of the movement of the Holy Spirit to be a credible sign among men, and an effective instrument of God’s work!”"
St. Nilos was a hermit on Mount Athos who died on November 12, 1651. "After the year 1900, toward the middle of the 20th century, the people of that time will become unrecognizable. When the time for the advent of the Antichrist approaches, people's minds will grow cloudy from carnal passions, and dishonor and lawlessness will grow stronger. Then the world will become unrecognizable. People's appearances will change, and it will be impossible to distinguish men from women due to their shamelessness in dress and style of hair. These people will be cruel and will be like wild animals because of the temptations of the Antichrist. There will be no respect for parents and elders, love will disappear, and Christian pastors, bishops and priests will become vain men, completely failing to distinguish the right way from the left. At that time the morals and traditions of Christians and of the Church will change. People will abandon modesty, and dissipation will reign. Falsehood and greed will attain great proportions, and woe to those who pile up treasures. Lust, adultery, homosexuality, secret deeds, and murder will rule in society. At that future time, due to the power of such great crimes and licentiousness, people will be deprived of the grace of the Holy Spirit, which they received in Holy Baptism, and also of remorse. The Churches of God will be deprived of God-fearing and pious pastors, and woe to the Christians remaining in the world at that time; they will completely lose their faith, because they will lack the opportunity of seeing the light of knowledge from anyone at all. Then they will separate themselves out of the world in holy refuges in search of enlightenment of their spiritual sufferings, but everywhere they will meet obstacles and constraints. And all this will result from the fact that the Antichrist wants to be Lord over everything and become the ruler of the whole universe, and he will produce miracles and fantastic signs. He will also give depraved wisdom to an unhappy man, so that he will discover a way by which one man can carry on a conversation with another from one end of the earth to the other. At that time, men will also fly through the air like birds and descend to the bottom of the sea like fish. And when they have achieved all this, these unhappy people will spend their lives in comfort without knowing, poor souls, that it is the deceit of the Antichrist. And the impious one! The Most-good God will see the downfall of human race and will shorten the days for the sake of those few who are being saved, because the enemy wants to lead even the chosen into temptation, if that is possible . . . then the sword of chastisement will suddenly appear and kill the perverter and his servants." Total number of books I own: Too many to count. 1,000's here and at least a 1,000 at work. Books I'm reading now: The Essence of Christianity (Italian Texts and Studies on Religion and Society) by Bruno Forte and The Gospel Of Mark: The Suffering Servant (Orthodox Bible Study Companion Series) by Lawrence R. Farley. Books that have been important to me: #1 The Catholic Study Bible: New American Bible, The Seven Storey Mountain by Thomas Merton, Life of Christ by Fulton J. Sheen, The Journals of Father Alexander Schmemann, 1973-1983 by Fr. Alexander Schmemann and The Spiritual Exercises of St. Ignatius (Vintage Spiritual Classics) by St. Ignatius of Loyola, Dear and Glorious Physician by Taylor Caldwell, Genius of John: A Composition-Critical Commentary on the Fourth Gospel by Peter F. Ellis, Spiritual Passages : The Psychology of Spiritual Development (Spiritual Passages, Paper) by Father Benedict J. Groeschel and Rise, Let Us Be On Our Way by Pope John Paul II. Tagged: Mary Jane, Pat,and Earl. of the elderly and the sick killed by indifference or out of misguided mercy. I'm sure there are some who will read this and will be shocked to find that John Paul didn't write all his own, but how could he with the schedule he kept? "That hands-on approach by the former Cardinal Joseph Ratzinger, who was a theology lecturer at German universities before becoming a Vatican insider, sharply contrasts with his predecessor, John Paul II, who gave so many speeches he needed an assembly line of wordsmiths to produce them. John Paul often delivered several speeches a day to audiences ranging from garbage collectors in Rome to Aborigines in Australia, and the Vatican ``had to create an office to write them,'' said former Vatican diplomat John-Peter Pham. The skills of diplomats and other Holy See officials and consultants were tapped in the process. ``John Paul wrote very few of his speeches,'' although he occasionally ``changed a phrase here or there,'' according to Pham. " I was told this two weeks ago by my Jewish friend who talks to him almost daily. I'm sure he will be happy to go back home and to be a successor to his much loved Pope John Paul. The Holy Father appointed Archbishop Stanislaw Dziwisz, adjunct prefect of the Pontifical Household, as metropolitan archbishop of Krakow (area 5,730, population 1,618,593, Catholics 1,566,555, priests 2,026, religous 4,841), Poland. The metropolitan archbishop-elect was born in Raba Wyzna, Poland, in 1939. From 1966 to 1978 he acted as private secretary to Archbishop Karol Wojtyla of Krakow and, following the latter's election as Pope John Paul II, continued to act as his private secretary throughout his pontificate from 1978 to 2005. He was ordained a bishop by John Paul II in 1998 and elevated to the dignity of archbishop in 2003. He succeeds Cardinal Franciszek Macharski, whose resignation from the pastoral care of the same archdiocese was accepted by the Holy Father, upon having reached the age limit. I'm a big fan. Heard him speak yesterday at a conference I'm attending in Chicago. The Holy Father has entrusted the Vatican Publishing House with the exercise and protection of the copyright and of all exclusive rights to economic utilization of the acts, works and writings written by him prior to his elevation to the Chair of Peter. A communique made public today, and signed by Cardinal Secretary of State Angelo Sodano, also states that, "without prejudicing the rights acquired by third parties concerning contacts already concluded with the author, from now on the Vatican Publishing House is also entrusted with the exercise and protection of the copyright concerning contracts still in force".